Well, we all know of the much talked about love between Mahesh Babu and his actress wife Namrata Shirodkar. The couple is not only setting relationship goals but now they are all setting parental goals. 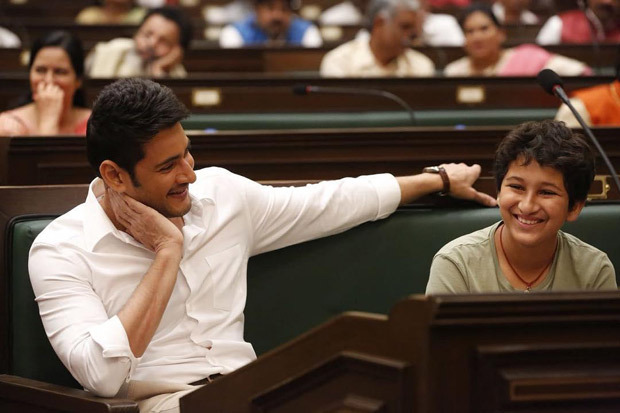 Today, when their eldest born, Gautam turns 12, the parents, Mahesh and Namrata took to social media platforms to share their hearty wishes and we would say it is as sweet as ever! Love ???? love ???? and more ???? as I see you grow each year ??????? ?my Little boy is 12 today ????????.. I wish you a a very happy birthday ???? And many more to come !! I wish u achieve all that u ever wish for and more may u be the happiest soul and kind and giving as u have always been .. stay our little “jibil “❤️❤️always ??????? ?I love you forever ??????? ?Sitara wishes u too n says she loves u more than anything in her world ???????????????? The couple also reposted each other’s posts on their Instagram page. Well, we must say Gautam is one lucky boy! On the work front, while Namrata Shirodkar has quit films, Mahesh Babu is gearing up for two films next. He will be seen in Maharshi, teaser of which was unveiled on the actor’s birthday. Besides that, he will also be joining hands with Vamsi Paidipally for an untitled film which is expected to go on floor soon.